The upcoming feature film directed by Deb Medhekar will bring back all memories of Rabindranath Tagore’s iconic short story Kabuliwala. The story written by the legendary author was about the relationship between a Kabuliwala and a little girl Mini who reminded him of his own daughter back home in Kabul. The tale will take a new turn in Bioscopewala. The director has picked up the open-ended story where Tagore left it and even revamped the character of Kabuliwala into a Bioscopewala. 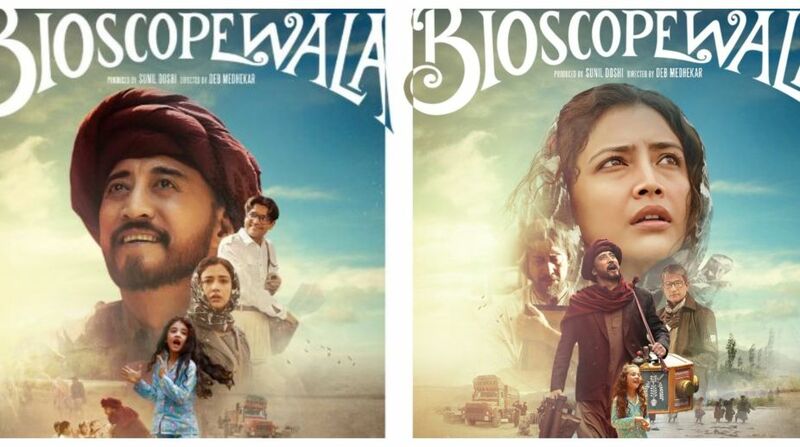 Though the film deals with a story already quite vivid in our mind, the trailer of Bioscopewala too looks promising. The trailer begins with Mini, played by Geetanjali Thapa, remembering the Bioscopewala played by Danny Denzongpa after her father’s death. She relives the memories when she was 5 years old and goes on a quest to unveil all the mystery that prevails about the Bioscopewala and his life. Actor Danny Denzongpa, on the other hand, is a treat to watch on screen in the 2-minute trailer. Different phases of his life in flashes give away bits of his story. Check out the trailer here. Bioscopewala will be featuring Danny Denzongpa, Geetanjali Thapa, Tisca Chopra and Adil Hussain. Presented by Fox Star Hindi, the film is slated to release on 25 May.